First up, every now and then I get a craving for a cheap clothing fix and head to Primark to satisfy that craving. Where I used to work, there was a Primark very close and I had been known to pop in on a daily basis (just for entertainment at lunchtime) but now it’s a bit of a longer walk I don’t go as often. 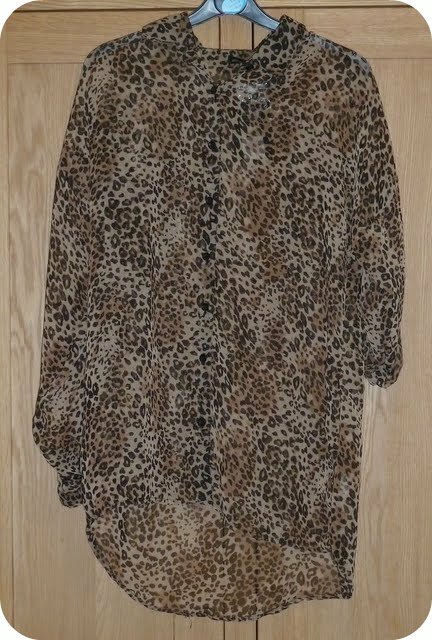 This time I picked up two cosy jumpers and an animal print slouchy blouse. 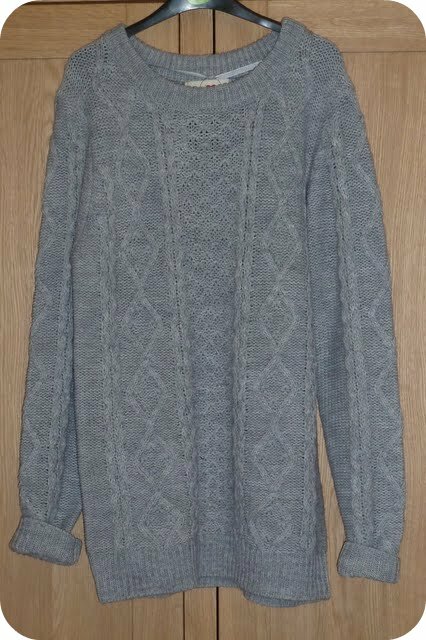 The grey jumper is a size too big but I wanted it to be cosy so don’t mind. It’s a longer length (see pic below) so might even be worn as a jumper dress. We will see. I love the bright red jumper but feel a bit too festive when I try to wear it at the moment – what should I wear with it so I don’t fell like fancy dress Santa?! I also paid a little visit to Forever 21 last week. It’s actually been a while since I’ve been in there and whilst it is a bit hit and miss I do usually find one or two things I really like. 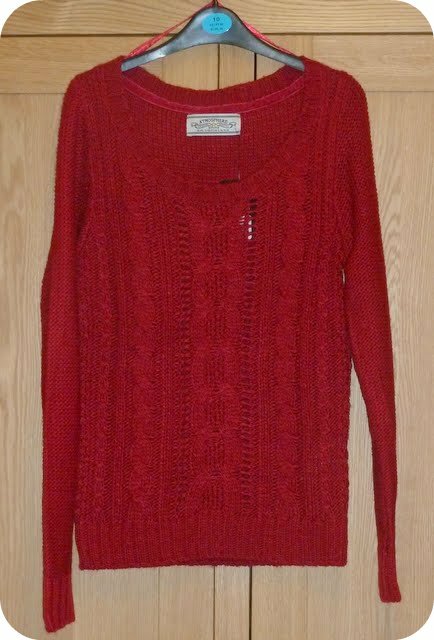 This time I found another animal print item… this time and orangey-red jumper (which is a fine knit but still quite thick and warm) plus a couple of necklaces that I love. I normally talk myself out of buying jewellery from Forever 21 or other high street stores as it has the tendency to turn my skin green or just wear really quickly so it looks crappy. But I couldn’t resist these two items. Long gold chain with key necklace (about £4) I have a bit of a thing for key necklaces and I wanted something gold on a long chain. I liked this because it didn’t look or feel as cheap and plastic as a lot of the chain necklaces I’ve seen in the past. And short chain, tiny hearts necklace (about £3) As soon as I saw this one I knew I had to buy it. Not that it’s my usual style or anything, but I just loved how tiny the little row of hearts was – they looked really delicate, plus I like it as little pop of colour. What have been your recent purchases?? What’s on your wish list…? I like you’d sweater from Forever 21. It is super cute!